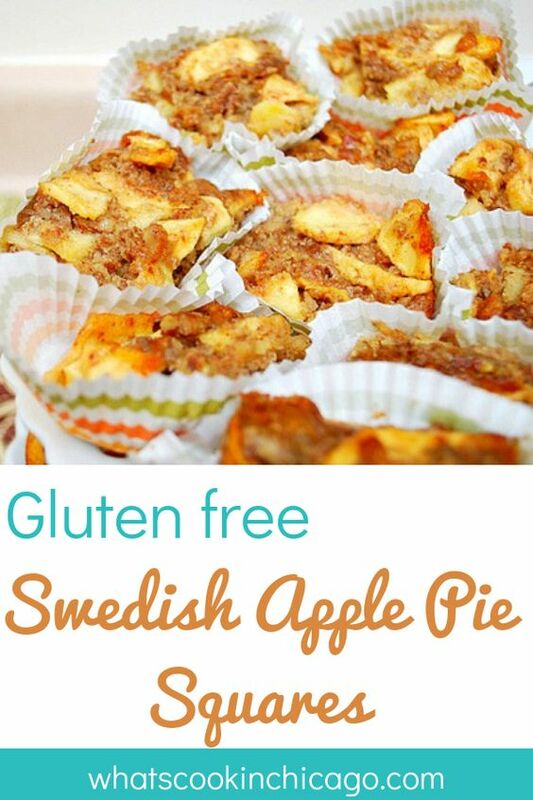 I'm not exactly sure what makes these bars "Swedish" but nonetheless, they're easy to make with pantry staples. Friends didn't believe me when I told them these were gluten free so that's a good sign! We especially enjoyed these topped with a scoop of vanilla ice cream. Oh, as because I always have it stocked, a buttery drizzle of caramel puts this over the top! 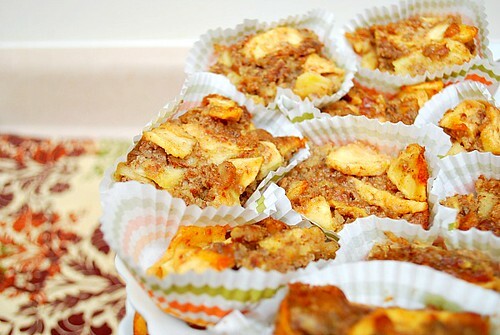 Toss apples with 1 tablespoon of sugar, and pour them into an ungreased 8x8 baking dish. In a medium bowl, thoroughly mix together the sugar, flour, cinnamon, butter, and egg. Crumble this mixture evenly over the top of the pie. Bake in the preheated oven for 40-45 minutes or until the apples have cooked and the topping is golden brown. Cool and cut into squares before serving. @Rebel, I know right? Everything here is so delicious. I also love the 6 Cheeseballs for the Superbowl! Perfect!